Bike Share’s coming to Berkeley soon! 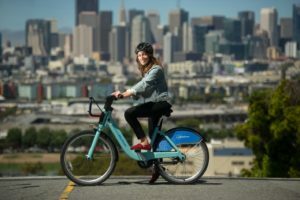 Bike Share in the Bay Area will be bigger and better soon. 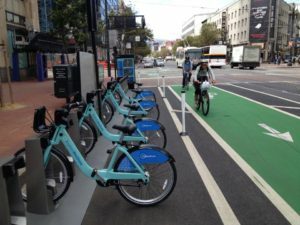 With 7,000 bikes at full build-out, the system will have stations every few blocks in San Francisco; connect Oakland, Berkeley, and Emeryville; and extend the San Jose service area from the downtown core. It will link people to MUNI and BART, to jobs and schools, and all that the Bay Area has to offer. No, not in Albany yet, but hopefully the next expansion will include Albany, El Cerrito and Richmond. The next step is public workshops, where neighbors sit around maps and discuss which station locations work best for their community. You are invited to review possible site locations and give input, which will be considered, along withcrowd-sourced suggestions and technical analysis. There are two more opportunities to give input so take advantage of them!